The Collaborative Practice approach to divorce emphasizes communication and cooperation, rather than conflict. Collaborative Law is a legal process that helps couples avoid the expensive and uncertain outcome of a court battle. Collaborative Divorce enables the professionals to help the spouses craft a settlement that best meets their individual needs as well as the needs of their children. 1. Promise: Both spouses and each of their attorneys promise in writing not to take the dispute to court. This puts everyone on the same side of the table focusing on problem solving and reaching agreements. 2. Transparency: There is complete, open and transparent communication between clients, attorneys, and other professionals working on behalf of the spouses. 3. Efficiency: Negotiations are conducted in a manner that leads to mutually acceptable agreements on all issues. This framework takes into account the goals, priorities, and interests of all family members. The New Jersey Collaborative Law Group was established in June of 2008. As an educational, not-for-profit association of collaborative divorce professionals, NJCLG serves the counties of Essex, Union, Morris, Somerset, Hunterdon, Warren, Bergen, Passaic, Mercer and Sussex. 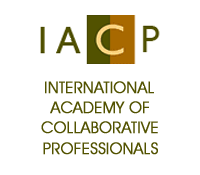 The members of NJCLG are members of the International Academy of Collaborative Professionals. To arrange a preliminary consultation, contact a NJCLG professional. What sets NJCLG professionals apart are the requirements of all members to be licensed in the State of New Jersey in the fields of law, finance or mental health and to complete at least 16 hours of collaborative training and required mediation training. Further, all members are committed to participate in at least 4 hours of additional trainings each year.